Libby Butler's life is a mess. Her career as a solicitor in a prestigious London law firm is going nowhere fast, just like the ill-advised affair with her boss. Then a terrifying, life-threatening encounter with the notorious Vampire Killer, a knife-wielding serial murderer, leaves Libby with her courage and confidence shattered. Desperate to pick up the pieces of her life, duty calls Libby to the cells of a Metropolitan police station in the middle of the night. There she meets mysterious and enigmatic stranger Gabriel Radley, a man on intimate terms with danger and who has a habit of disappearing from police custody. Gabriel is searching for a Stone he has lost, its value beyond human imagination, that will help bring a monster to justice. When Libby agrees to help him find the Stone she senses a chance at redemption, but unwittingly plunges headfirst into a series of events that threaten to tear her world apart. A cult called The Awakened, a gangland thug and his vicious henchman, a deadly female assassin, a dedicated detective chief inspector and even the Vampire Killer - all become embroiled in the chase for the Stone and influenced by the elemental force that is Gabriel. 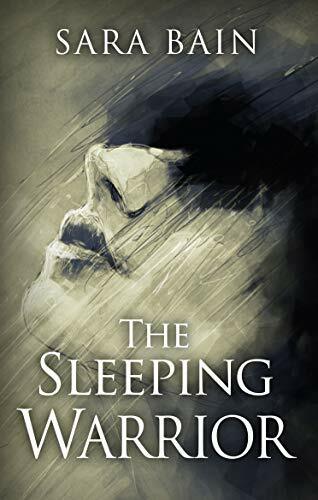 As the death toll rises, Libby is forced to face her true self, learn the ultimate value of life and discover the potent significance of the Sleeping Warrior within.